A collection of data, maps, and apps powered by ArcGIS Online is one broker’s not-so-secret key to success. John Schultz is a commercial real estate broker in Baltimore, Maryland. With a drive to help retailers continually find their next location, John juggles a lot in any given day: site reviews, lease negotiations, market tours, and much more. And he works in multiple markets, with multiple clients. He’s also a strong family man who’s committed to making time for his wife and two kids. How does he keep up? He works smart. John Schultz, a partner at MacKenzie commercial Real Estate Services, knows maps make smart business colleagues. Like most brokers in the fast-paced world of commercial real estate, John begins his day with a cup of coffee in one hand and an iPhone in the other. This is how he manages the high-paced flow of communication. And one of the things he relies on every day is Mack.Maps, a collection of data, maps, and apps powered by ArcGIS Online. It’s one of John’s not-so-secret keys to success. 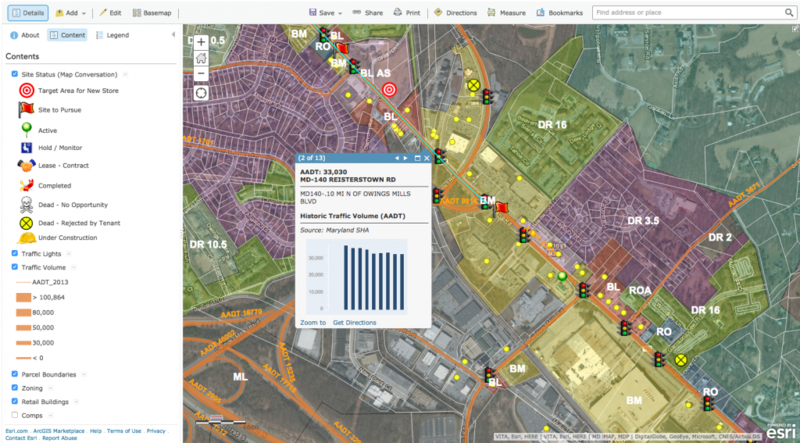 Deployed and maintained by Esri partner Datastory Consulting, Mack.Maps helps MacKenzie’s 40+ brokers who work out of one of five offices located across Maryland work more efficiently. Through a collaborative collection of secure, web-based maps, John and his team can understand local market dynamics and uncover often-hidden opportunities to find the best sites for clients. Mack.Maps provides a detailed view of the state of opportunities and all the factors that retailers need to address to find the best site. In the past few years, John has climbed the ranks of MacKenzie Commercial Real Estate Services because of his tremendous success as a broker. 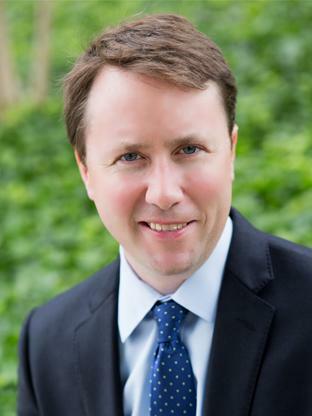 As a partner in the firm, he now represents preferred CVS developer J.C. Bar Properties, and he’s brokered deals for GNC, Comfort Corp / Sleep Number, Taco Bell, and Royal Farms (a leading convenience store in the Mid-Atlantic market). Last year, Planet Fitness recognized John as a “Top Broker” at the ICSC conference in Las Vegas for helping multiple franchisees open stores across Maryland, Virginia, Tennessee, and Florida. And in the fall of 2014, John and his partner John Harrington were asked by Starbucks to lead the coffee giant’s site selection efforts in the metro Baltimore and Southern Delaware markets. Why does a successful company with a real estate department need a broker? 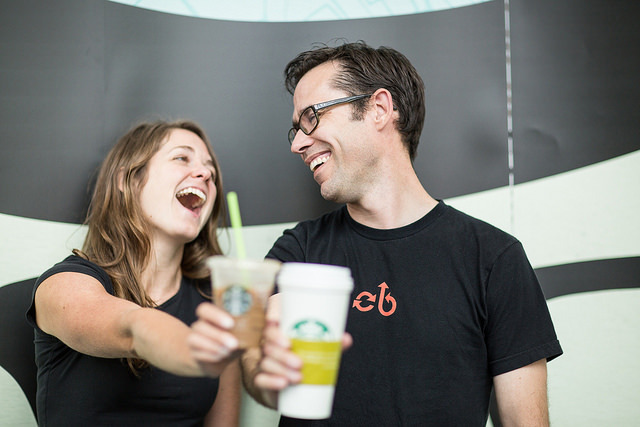 John’s capture of Starbucks business is interesting for this reason: Starbucks—well known for its dominance in the retail market—has one of the most robust ArcGIS platforms in the world. In fact, their multi-faceted implementation of ArcGIS was featured at the 2014 Esri User Conference on the plenary stage. At the heart of this well-oiled machine is Starbucks’ real estate team. To identify new store locations, Starbucks relies on GIS and some insightful local knowledge. Mack.Maps helps John capture and share that local knowledge by tapping into hyper-local data such as parcel ownership, traffic counts, zoning, and planned development. Because both parties speak “ArcGIS”, they can communicate faster through the common language of maps. There’s no denying that John is a real estate rock star. He was MacKenzie’s top producer in 2014, and he’s not shy about admitting that a large part of his success is because of his “tenant rep map” that gives him ready access to local knowledge in Maryland, Tennessee, Florida, and anywhere else he’s doing business. John’s story illustrates how big corporations like Starbucks can work with local businesses, like MacKenzie, to prosper together and create better communities. And let’s face it, who doesn’t want a great coffee store, perfectly located in their neighborhood?